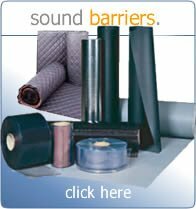 All Noise Control’s sound dampening acoustical duct products including flexible ducts, insulated flexible ducts and HVAC pipe wrap barrier materials. 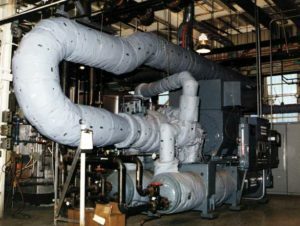 All the products below are ideal for a wide range of Industrial, Commercial and Office applications to quiet HVAC noise, loud ducts and related noise issues to air control/heating and AC installations. The sound absorbing quilted fiberglass absorber/decoupler improves the sound proofing performance of the noise barrier as well as to provide sound absorption and thermal insulation around the pipe or ductwork. 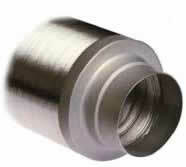 Installation of Sound Seal Lagging and Wraps around noisy pipes or ducts can achieve noise reduction up to 20 decibels. Lagging and Wraps are designed to block noise that transmits through the walls of the pipe or as well as to increase the sound absorption in the cavity. Standard rolls are 54” wide x 30′ long. All Noise Control Acoustical pipe & duct lagging dramatically reduces the amount of noise that transmits through the walls or casing of ductwork, steel or PVC piping, valves sheet metal enclosures, plenums, VAV units and fans. The product line is furnished in rolls, and is available in three basic styles for quick and easy installation. ANC-WBV: is a loaded vinyl noise barrier featuring a reinforced-foil facing which readily accepts a matching tape. It is supplied in 4′ wide rolls, 30′ or 60′ long. 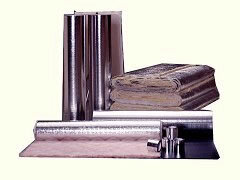 Often specified or used when duct or pipe is already wrapped with standard insulation. ANC-WBV/ANC-QFA-3: is the same product as above with a one-inch thick quilted fiberglass insulation bonded to the back of the barrier. This quilted fiberglass layer acts as a decoupler/sound absorber to improve the overall noise reduction performance, as well as to offer thermal insulation (R-value =5). This version allows one-step installation of acoustical/thermal insulation layer and the noise barrier. ANC-WBV/ANC-QFA-9: is the same as the above product except with a two-inch thick quilted fiberglass decoupler/absorber. This increases noise reduction performance even greater-especially for low frequency noise problems. This version also increases the R-value to 9. Use our wrap barrier and achieve a 15 to 20 decibel level drop. Simply wrap lagging around noise duct or pipe work and fix with tamp or clamps and you have a low cost, very effective acoustical barrier solution for all piping and duct work noise issues. Our HVA Attenuator is designed to silence ducting at key intervals in air handling systems for sound attenuation and radiated noise reduction. We now carry Flexible Acoustical Ducts, ANC-300V & ANC-300M have a fiberglass wrapped & insulated core with vapor barrier. We’ve just added Insulated Flexible Acoustical Ducts, with Poly vapor barrier and aluminized sleeved in fiberglass reinforced barriers. What does a pipe wrap product do? Our pipe & duct wrap reduces the amount of noise that transmits through the walls or casing of ductwork, steel or PVC piping, valves, sheet metal enclosures, VAV units and fans. In what ways is All Noise Control’s acoustical lagging different than duct liner? 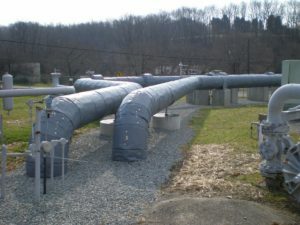 Our lagging is wrapped around the outside surface of ducts or pipes and eliminates the “breakout noise” which is the noise that radiates from the walls of the duct/pipe as air or other materials pass through it. 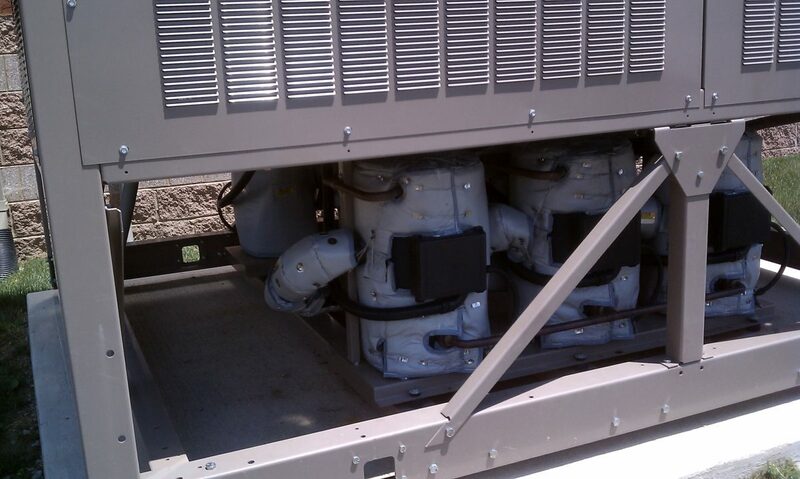 Acoustical Liners are installed inside the duct or pipe and abate the noise heard at the intake/outlet vents. Do I really need a pipe or duct wrap? Our lag products are wrapped around the outside of ducts or pipes and stop the noise, while our Liners are installed inside the duct or pipe. The two types of products are generally used in conjunction with one another. How much quieter will my pipe or duct be? When installed properly our ANC-WBV ANC-WBV21 or ANC-WBV42 would have a decibel drop of 10 dB to 15 dB, depending on what the dominant frequency is in the particular application. The Laboratory test transmission loss values at individual 1/3-octave bands. Also included is the STC rating so end users can use this when evaluating products.